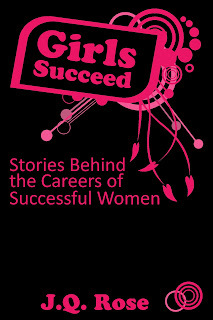 Squeeeeeeeeeee....Kaytalin Platt designed the cover for my interactive e-book for girls. Now THIS gets your attention, doesn't it? 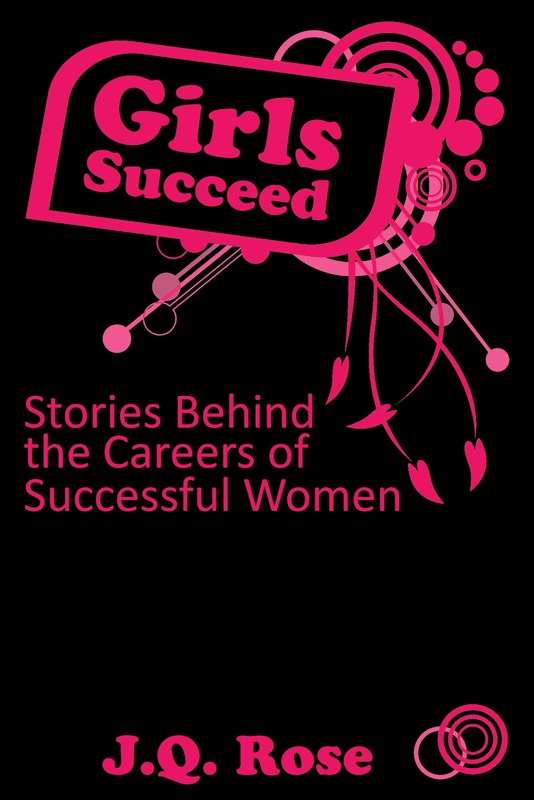 This non-fiction book profiles the careers of successful women. My hope is it will inspire the girls to dream big and then work hard to achieve their goals. Yes, self-publishing is a new experience for me. I have a traditional publisher for my mysteries, Muse It Up Publishing. Finally this new technology is what I envisioned for a book such as this book for middle grade girls. The interactive element is what I wanted since I began this project in 2006. After each chapter I include information about the woman and her career including books, but also websites about the topic. So the girls can now click on a site. For instance, Pati Pierucci is a competitive dressage rider, so I linked to a video of a dressage competition. Sue Chef is an energetic cooking professional so I linked to a video of her demonstrating how to make alien pancakes. Yes, really! Can you tell I'm excited about this project? I am. I have the manuscript ready to enter into the Smashwords "meatgrinder" (scary name) which will take the MS Word ms and convert it to four e-book formats. Um, well it's supposed to. We'll see. I will also upload it to Amazon. So keep your fingers crossed that all goes well and I am not tearing my hair out trying to figure it all out...!!! P.S. You're invited to visit the Girls Succeed Blog to discover more careers. Very cool! Great idea, J. You know my blog is open to you when you need it. Kaytalin always does great covers. The Smashwords grinder isn't so scary. I've run lots of books through it and have only had a few problems which they tell you about in enough detail to correct. Sounds like a great idea. Best wishes with the e-book. Thank you, Marva. I'd love to swap blogs with you. And thanks for the encouragement in regards to the grinder. Trembling in my shoes about it. Susanne, thanks so much for your good wishes. You are my cheerleader!!! So kewl, Janet. The cover is a winner. I see big success with this book. Yay! Wave at me when you're on Ellen, 'kay? Waving at you from here, Joylene. My plan was to be on Oprah, but I guess since she's dropped her show, I need to change my goal. Ellen may be the way to go...hmmmm...Thanks for your support!